Last week R&B singer K. Michelle was doused in wine on national TV after confronting her former assistant Paris Phillips over $300 in unauthorized Uber charges [click here if you missed that]. So what does Keyshia Cole have to do with it..? ...that's what she would like to know after receiving an angry direct message from a misguided fan upset with her for outing Paris as a thief. Before all the excessive surgery (KMichelle), I always thought these two kinda of resembled. Beautiful ladies! They look nothing alike. 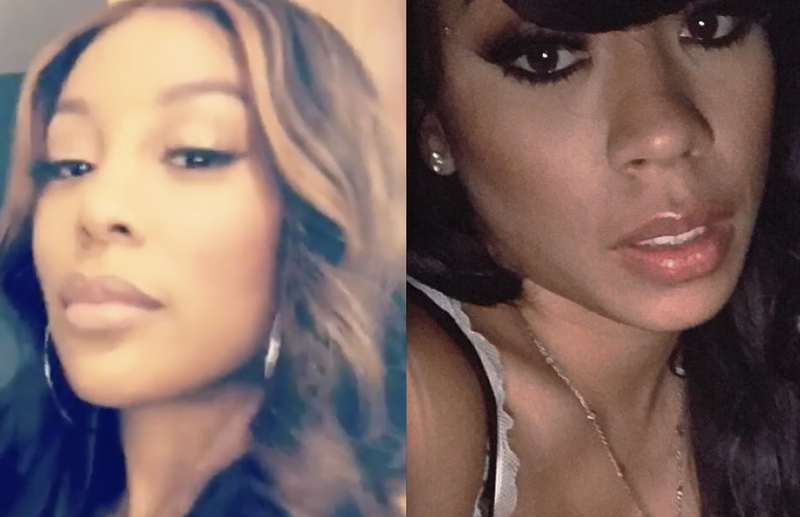 Keyshia is pretty and K. Michelle is not. Unnecessarily worrying about the hangover while trying to enjoy the party? Now you can enjoy your time without worrying about the next morning. You just need to take detoxicated before and after drinking.Visit to know about Best natural hangover remedy. First all Paris was telling Brooke them k. michelle had stop talking about it. so why everybody mad and talking about talking about k. michelle because if it was your card you might have fight about your money.paris keep talking about the money so she can stay on the show she got her a storyline. and we didn't know keyshia cole brother did her that way until now she telling us what he did to her.